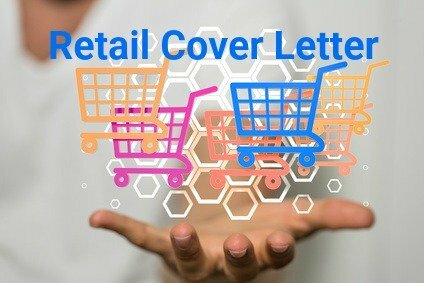 Your retail cover letter can be a powerful sales tool in your job search. A clear and purpose-driven cover letter grabs the reader's attention and ensures that your retail job application stands out. Consider what you can bring to the retail job opportunity. How do your skills and experience match the job requirements? Study the job posting, do your research and create a cover letter that is both relevant and powerful. Retail is a results-driven working environment. Your retail sales cover letter should clearly demonstrate how you can contribute to the company. Your recent job posting for a Retail Assistant immediately caught my attention. I am confident that my experience as an energetic and results-driven sales and customer service professional will provide the skills you are looking for. I am forwarding my resume for your review and consideration. Consistent record of accurately and efficiently processing all financial transactions with customers. Proven achievement of assigned monthly sales targets. Responsible for upholding all loss prevention and inventory management policies and procedures. Solid track record of sustaining excellent housekeeping and organizational standards on the sales floor, in the stockrooms and at cash wraps. Confirmed ability to sell with passion and provide a superior consultative experience to customers. Implementation of creative visual display merchandising to maximize sales. Verifiable history of maintaining an excellent attendance record and reliably completing shift requirements. Customer service orientation - this is key to success in any retail sales environment. Problem-solving - dealing with and solving customer concerns. Communication skills - these include persuasive ability, negotiating skills and influencing. Stress management - keeping calm and professional when under pressure is an important retail sales skill. Team work - collaborating with and supporting your colleagues creates a productive working environment. Initiative - coming up with merchandising ideas, dealing with unforeseen issues and improving processes all require initiative. Diversity awareness - the ability to interact successfully with a diverse group of customers. Accountability - taking responsibility for your job performance includes reliability and punctuality. Accuracy - handling financial transactions demands high levels of accuracy. 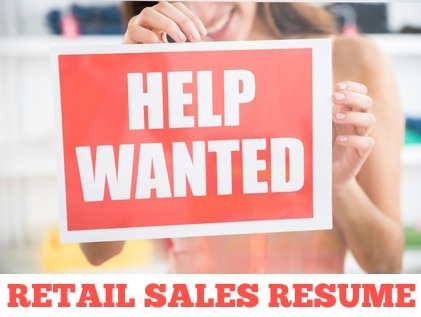 Include this retail cover letter with your job-winning retail sales resume. This comprehensive retail sales job description will help you create your cover letter.